Helps you prepare and budget for your grocery shopping. 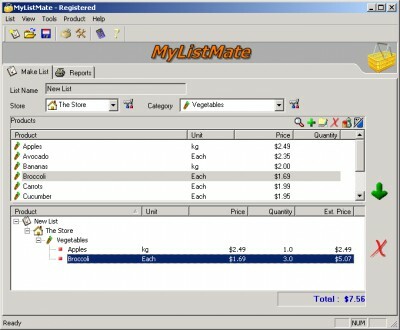 MyListMate 2.50.1 is other software developed by Castle Software Ltd.
MyListMate is designed to save you time and money with your grocery shopping !!! MyListMate is a clever and easy-to-use grocery shopping list manager which will help you prepare and budget for your grocery shopping. 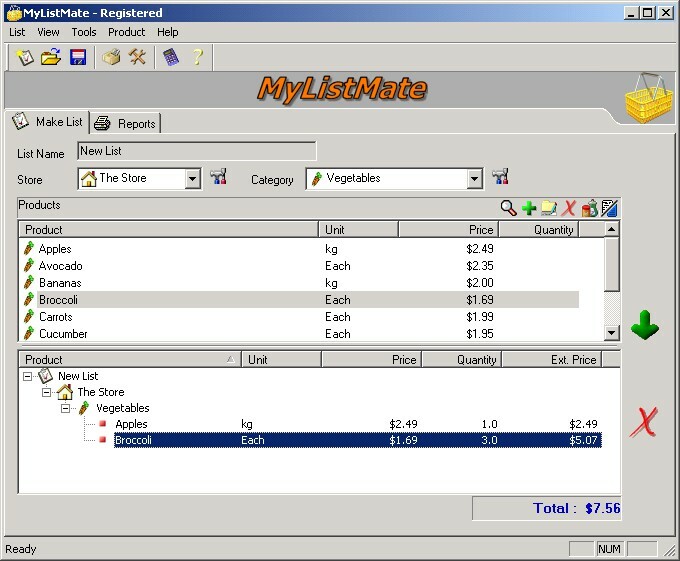 MyListMate allows you to maintain a database of products that you buy, along with the price and unit for each product, and where you buy them from. Prepare, save and print any number of lists to take with you to the store. This other software is shareware, which means you can download and use MyListMate 2.50.1 for free during the trial period (usually for 30 days). At the expiration of the period you will have to buy the other product for $22.95. MyListMate 2.50.1 is available at regnow and Castle Software Ltd website. MyListMate 2.50.1 supports different languages (including English). It works with Windows 98/XP/Vista. Latest MyListMate 2.50.1 does not contain any spyware and/or advertise modules, allowing installing it with no worries concerning valuable information loss. We has completely tested other software MyListMate 2.50.1 many times, written and published the interesting article and uploaded installation file (6292K) to our fast server. Downloading MyListMate 2.50.1 will take minute if you use fast ADSL connection. Quick shopping list maker, recipe and ingredient list manager.